The cylinder bodies are made of heat-treated free machining steel to enhance wear resistance and ensure smooth running. The surface is subjected to an additional thermal treatment to obtain optimum corrosion protection. The inside components are made of high-quality special steel with hardened and ground surface. 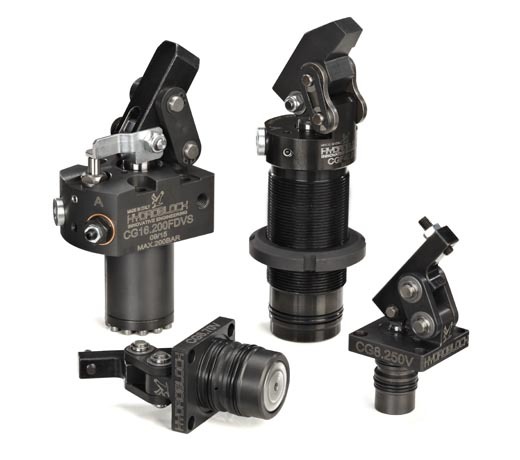 HYDROBLOCK uses exclusively high-quality seals that are perfectly adapted to the functional characteristics of the cylinders and the relevant type of application. Upon request, the cylinders can also be equipped with FKM seals for high operating temperatures. All HYDROBLOCK cylinders are rated for an operating pressure of up to 500 bar and tested on special computer-controlled test benches at the pressure specified by the customer or at the corresponding standard pressure. HYDROBLOCK subjects all cylinders and components to a 100% check. Upon request, the test report is placed at the customer’s disposal. HYDROBLOCK warrants that the products sold are free from defects in material and workmanship for a period of 12 months from the date of delivery. This warranty does not cover any damage to the products due to improper or inadmissible use of the products or due to the use of inadmissible operating fluids. This warranty does not include defects from normal wear and tear. HYDROBLOCK strives for continuous improvement and reserves the right to change the specifications of its products without prior notice at any time.